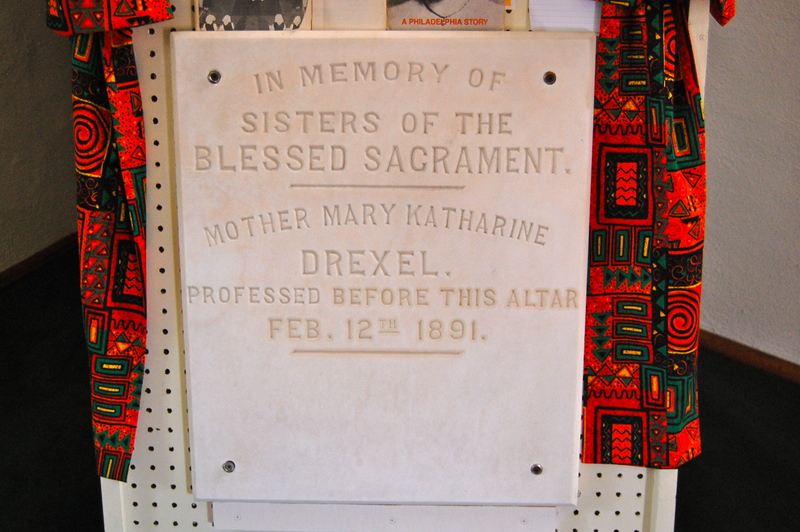 Celebrating the feast day of St. Katharine Drexel, March 3. 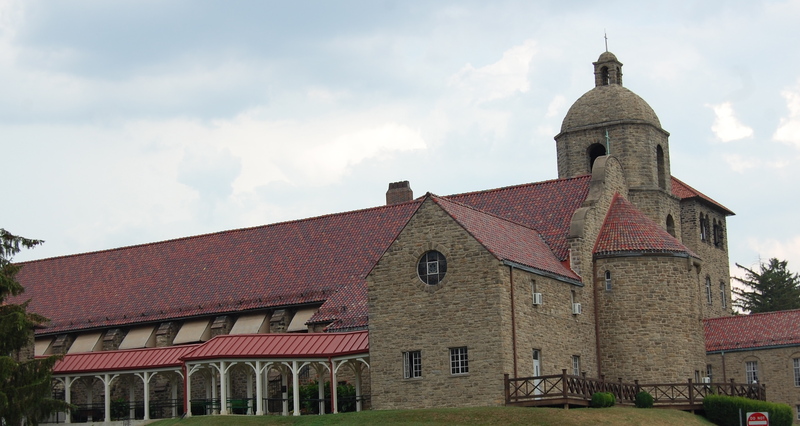 Katharine Drexel Shrine looks like a medieval monastery from this side view. The modern front entrance. 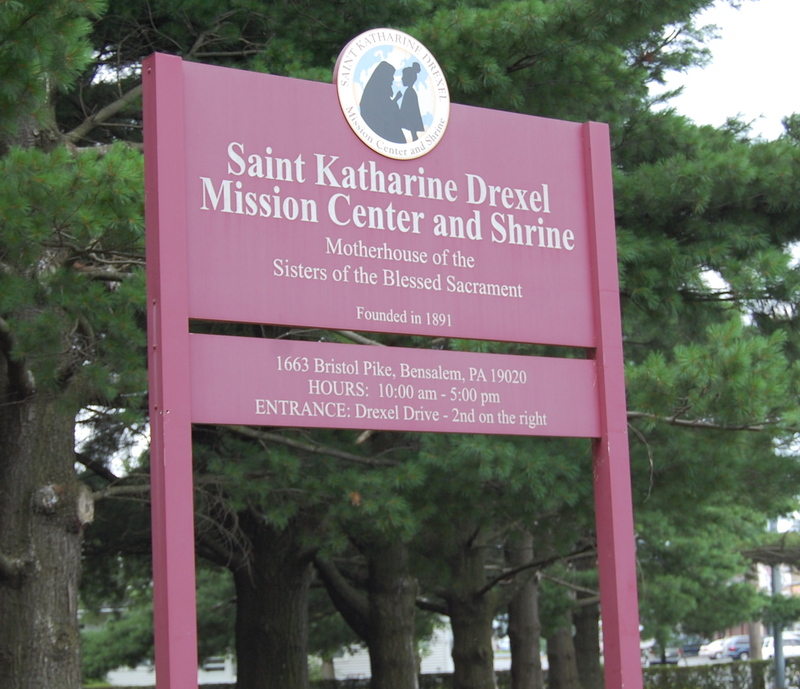 The Sisters of the Blessed Sacrament operate the St. Katharine Drexel Mission Center and National Shrine in Bensalem PA. 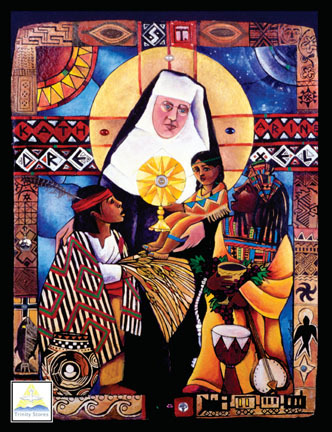 The Sisters of the Blessed Sacrament motto: Guided by the spirit of Katharine Drexel, we are called to share the Gospel message with the poor, especially among the Black and Native American peoples and to challenge the deeply rooted injustice in the world today. Born in Philadelphia, Pennsylvania, U.S.A. on 26 November 1858, Katharine was the second daughter of Francis Anthony Drexel, a wealthy banker, and his wife, Hannah Jane. The latter died a month after Katharine’s birth, and two years later her father married Emma Bouvier, who was a devoted mother, not only to her own daughter Louisa (born 1862), but also to her two step-daughters. Both parents instilled into the children by word and example that their wealth was simply loaned to them and was to be shared with others. Katharine was educated privately at home; she traveled widely in the United States and in Europe. Early in life she became aware of the plight of the Native Americans and the Blacks; when she inherited a vast fortune from her father and step-mother, she resolved to devote her wealth to helping these disadvantaged people. In 1885 she established a school for Native Americans at Santa Fe, New Mexico. 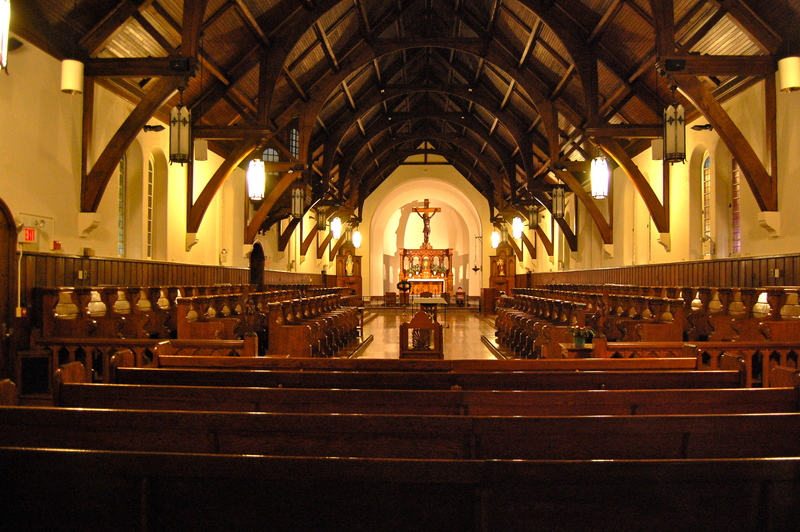 Later, during an audience with Pope Leo XIII, she asked him to recommend a religious congregation to staff the institutions which she was financing. 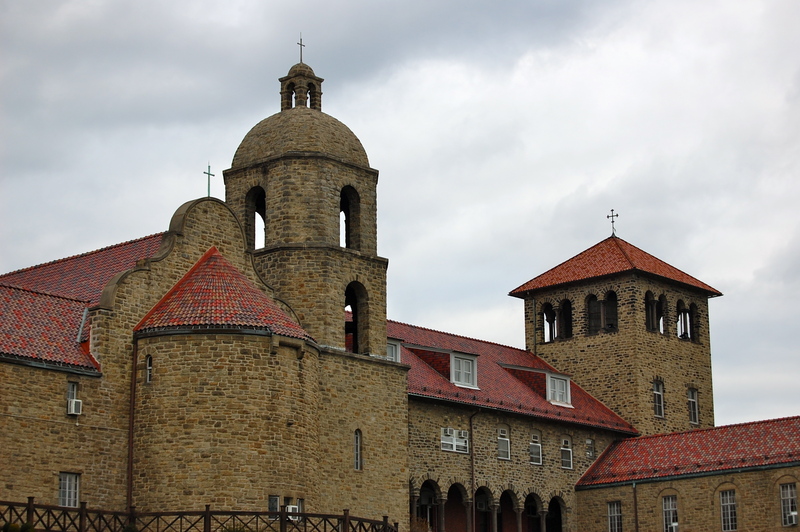 The Pope suggested that she herself become a missionary, so in 1889 she began her training in religious life with the Sisters of Mercy at Pittsburgh. 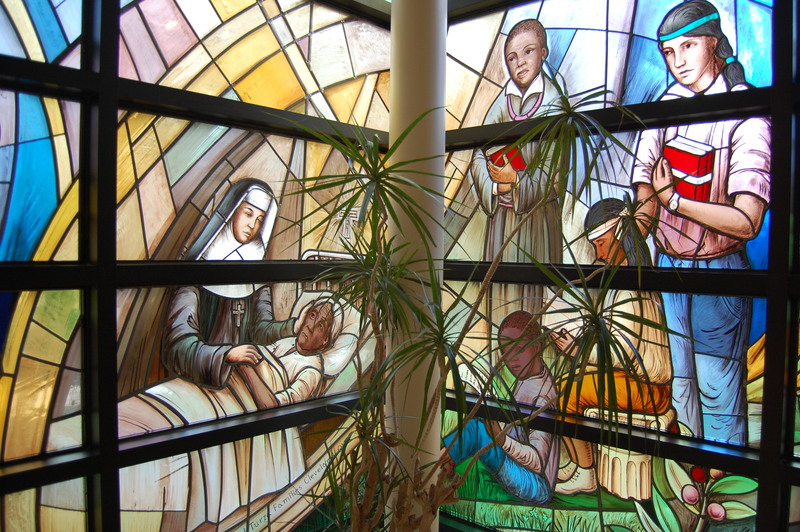 In 1891, with a few companions, Mother Katharine founded the Sisters of the Blessed Sacrament for Indians and Colored People. 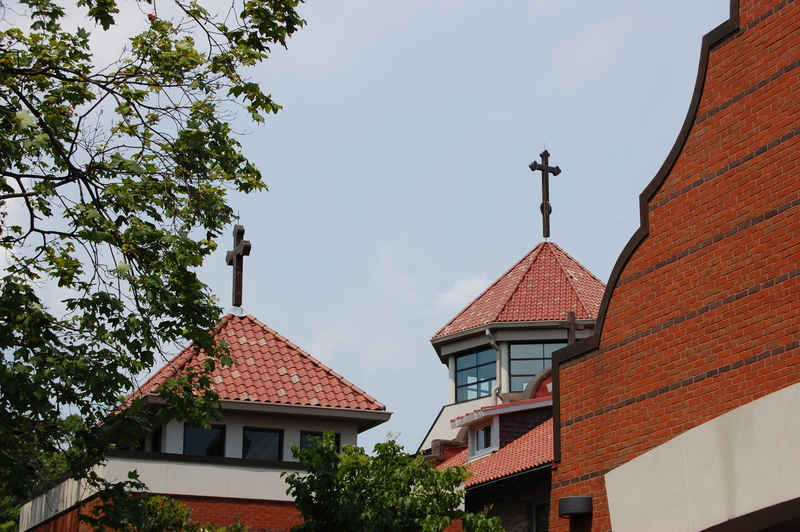 The title of the community summed up the two great driving forces in her life—devotion to the Blessed Sacrament and love for the most deprived people in her country. 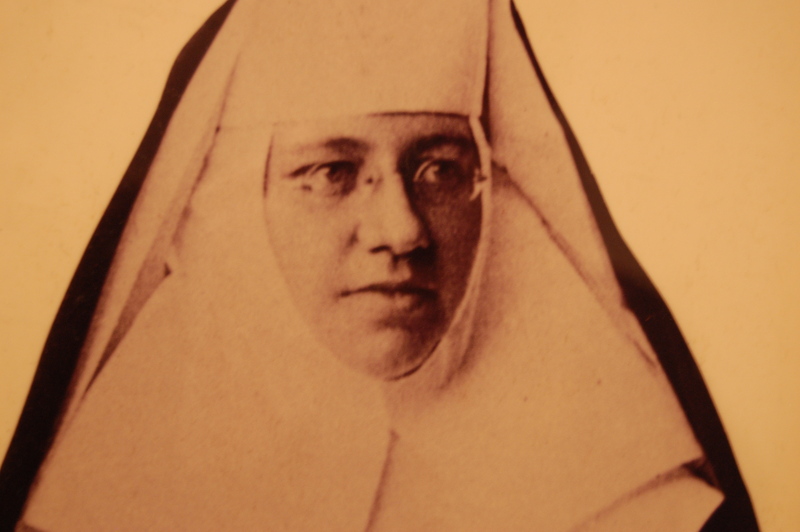 Requests for help reached Mother Katharine from various parts of the United States. During her lifetime, approximately 60 schools were opened by her congregation. The most famous foundation was made in 1915; it was Xavier University, New Orleans, the first such institution for Black people in the United States. In 1935 Mother Katharine suffered a heart attack, and in 1937 she relinquished the office of superior general. 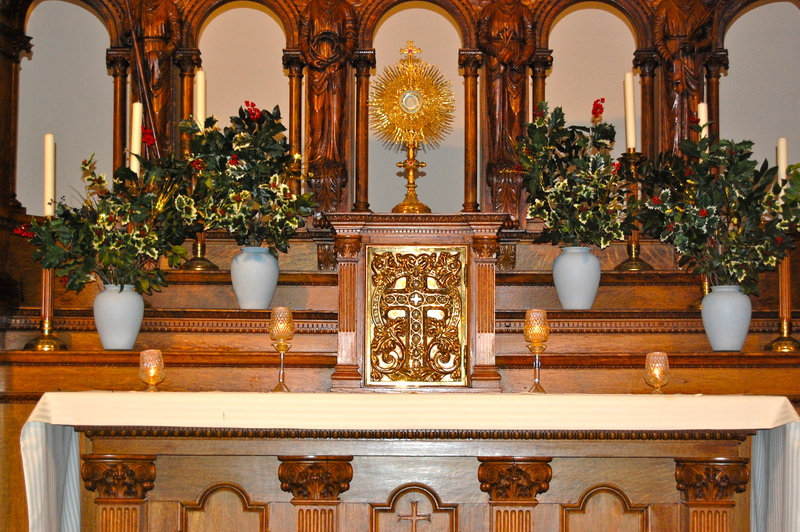 Though gradually becoming more infirm, she was able to devote her last years to Eucharistic adoration, and so fulfill her life’s desire. 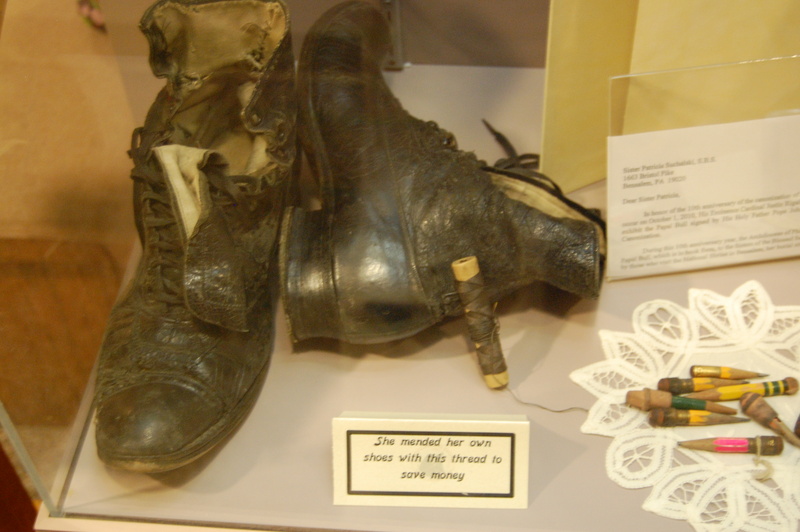 She died at the age of 96 at Cornwell Heights, Pennsylvania, on 3 March 1955. Her cause for beatification was introduced in 1966; she was declared Venerable by Pope John Paul II on 26 January 1987, by whom she was also beatified on 20 November 1988. 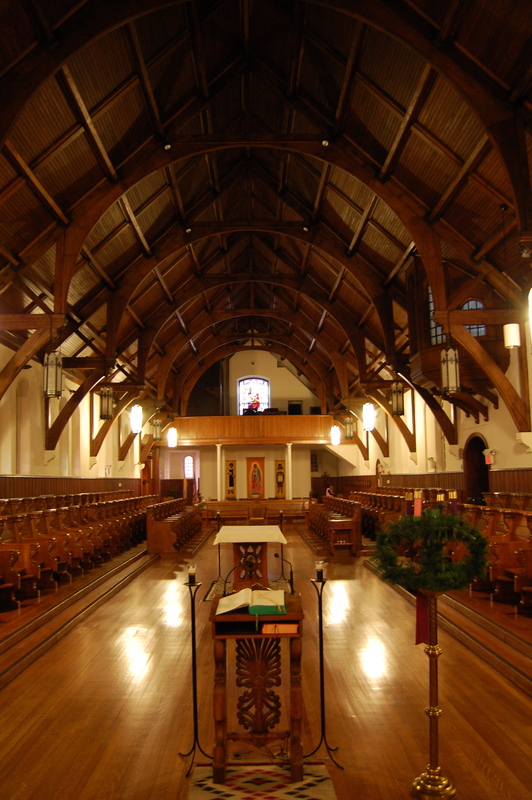 The design of St. Elizabeth Chapel is similar to other monasteries, where the pews are aligned to the center of the chapel. In this way, the religious face each other, to know and pray with their neighbor. 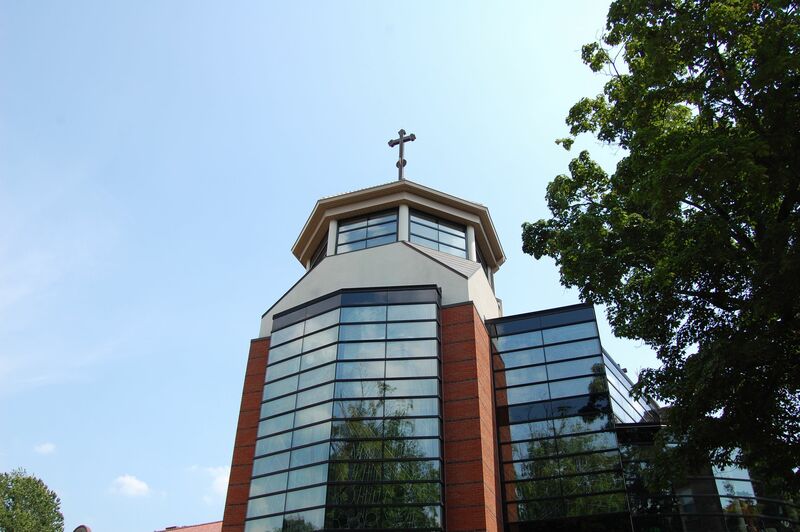 The hexagon arrangement in modern churches also utilizes this concept of parishioners facing their neighbor. A closeup of St. Katharine. 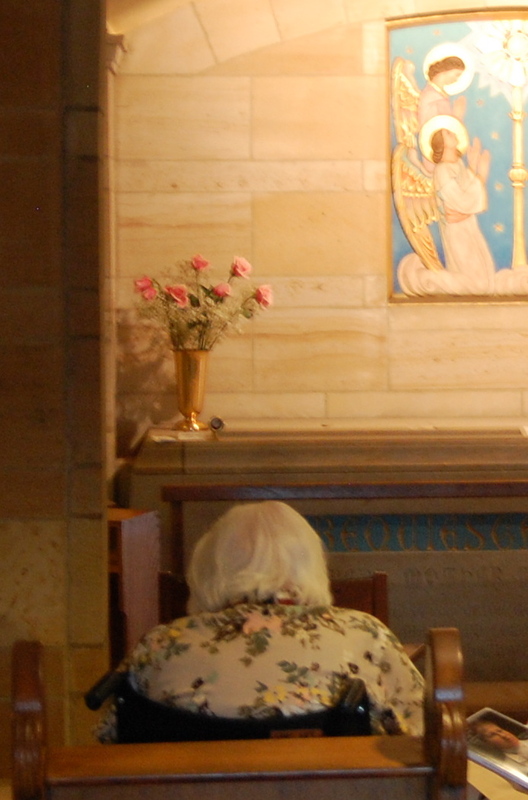 Pictured diligently in front of the crypt of St. Katharine Drexel is Sister Anne, who knew the saint personally. She describes Katharine as frugal, hard working, yet joyous and liked to joke. When Sister Anne joined the Sisters of the Blessed Sacrament, she requested her religious name be Sister Basil. St. Katharine tried to dissuade Anne of this name, but to no avail. 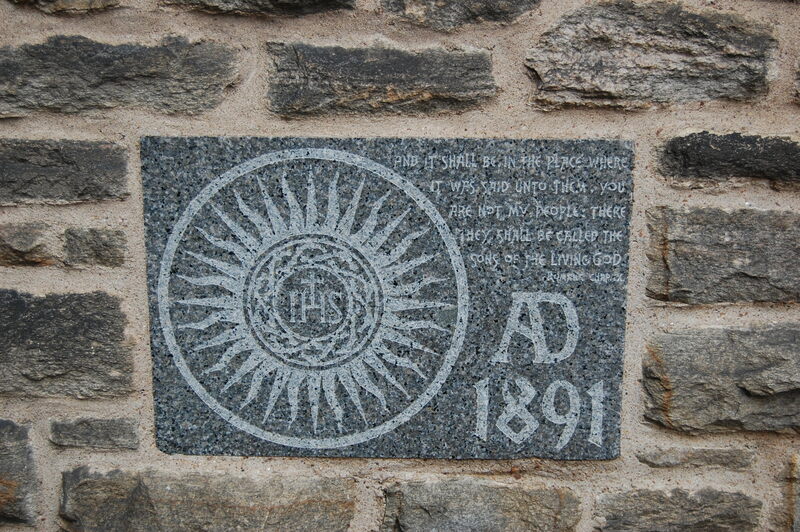 Anne explained her strong devotion to St. Basil. It was elevated to the local Bishop for a decision. Again Anne, determined to be called Sister Basil, made her case. Seeing the determination of this young sister, the bishop gave in and allowed her to be called Sister Basil. Years later, on religious assignment in Louisiana, Sister Basil decided to revert back to her baptized name, Anne. The frugality of St. Katharine can be seen in the pencil stubs. 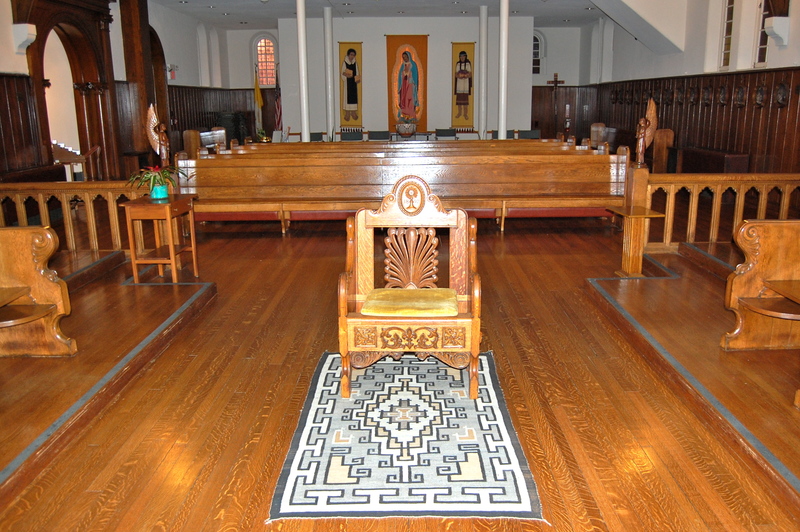 This chair inscribed with the date, 1892, was used by Saint Katharine during her life. Very nice – I especially like the double stained – glass window.